ACCDB file viewer scans the browsed file, extracts data from it, and loads for preview. The application recovers shift deleted data by thoroughly scanning the source file and displays it on the utility window. Moreover, clients are not restricted with any file size limitation of the Access database file while using this freeware. 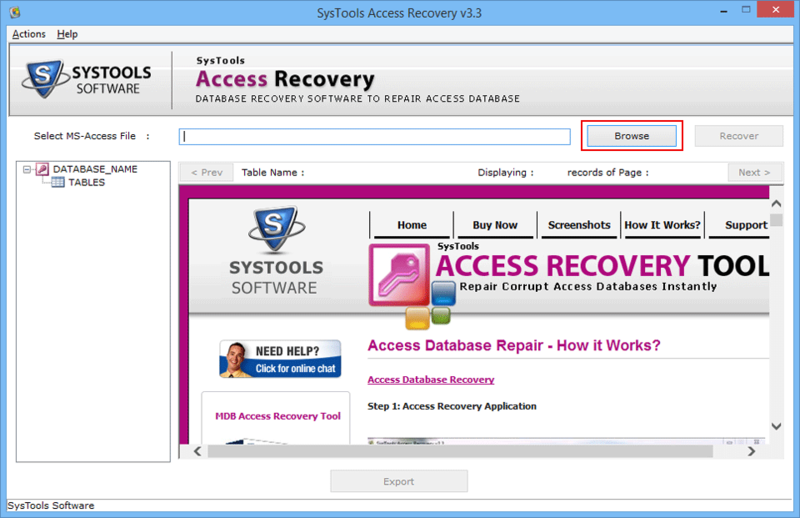 Users can open ACCDB file without the support of MS Access. Installation of any additional software is not required for functioning of this free utility. Program will restore tables, queries, macros, forms, etc., of a MDB or ACCDB file. It is also capable of retrieving data from files, which are corrupted due to file size exceeded problem. Microsoft Access file viewer utility displays live status of the scanning operation. Users will be able to see complete details of files, which are being in process like database name, format of the file storage, and total number of tables encountered in a MDB file. Once the scanning is finished, click on Close button to view entire recovered data. This is an exiting feature of the MDB file reader in which users are having freedom to view entire content in a selective manner. The tables of the Access file are listed in a tree-structure on the left-hand side of MS Access file viewer. The inside data of selected table will be displayed on right-hand side with buttons for internally shifting from one page to another. The GUI (Graphical User Interface) of MDB Reader is easy to understand and operate. One will be able to read data from a MDB file without any complicated procedure. There is no need to have any technical guidance for working with our freeware because developers had designed the application with very few technicalities within it. The ACCDB file reader is a Windows-based utility, which provides a smooth way to open Access database file on Windows operating system. Microsoft users will be able to resolve errors like cannot open Access database already in use, Access compact and repair file already in use, cannot compact and repair Access database, etc., with this freeware. Does your ACCDB file reader provides the feature of switching to other pages while working? Yes, our MS Access file viewer is having feature through which you can switch to other page internally. I am having an MDB file of 1664KB. Will I be able to explore MDB file of this size with your freeware? Yes, there is no file size limitation imposed in the software therefore, you can feel free to open and read MDB file of any size without any restrictions. The ACCDB file, which I want to browse is corrupted due to exceed in file size. Does your tool provides any solution to view such files? Yes, our MDB file reader is capable of extracting data from corrupted Access database file and loading it on viewer’s screen. Which type of files does your MDB File Viewer supports? The ACCDB file opener supports both file types let it be MDB or ACCDB files. 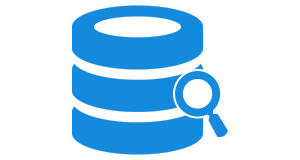 It supports Access files of any application versions i.e., 2013, 2010, 2007 and 2003. Is it possible to fix ‘cannot compact and repair access 2010 file already in use’ error and then view ACCDB file with help of your free MDB file reader? Yes, it is possible to resolve all errors, which occurs while opening or viewing MDB/ACCDB file with help of this utility. "I had a set of Access databases files and they were of no use because I was having no program through which I could view these files. Meanwhile, I came across the MDB Viewer and now, I am able read all my database files, easily. As a user of the product, I found that it is most reliable and best MDB viewer in the market." "It helped me a lot when I had faced corruption problem in my system. The situation was that its now impossible to view tables from corrupt MDB files but, my technician asked me to use this free utility. The software acted as a life saviour for me! I was able to open and read entire data of corrupt Access database files without any platform dependency issue just because of this freeware. Thanks a lot guys!"